A career in Law Enforcement begins with the entry-level position of Deputy Recruit. If you are interested in applying for a Deputy position, please complete an online application. See Current Job Opportunities. For more information contact the Career Development Office at (321) 264-5308 or email to recruitment@bcso.us. A career in Corrections offers many challenges and rewards. There are numerous promotional opportunities and specialized assignments available. Entry-level positions include civilian Booking Technician or Corrections Technician. Corrections Deputy Trainees can attend the Corrections Academy on a scholarship to obtain State Certification to become a Corrections Deputy while earning a salary working at the Jail. Be certified as a Corrections Officer by the Florida Criminal Justice Standards Commission at the time of employment. If you are interested in applying for a Corrections Deputy position, please complete an online application. See Current Job Opportunities. For more information contact the Career Development Office at (321) 264-5308 or email to recruitment@bcso.us. You can become “part of the action” as a Communications Officer. 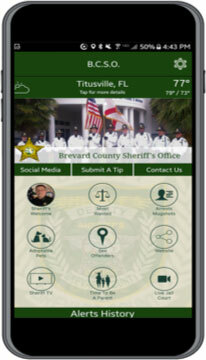 Work as partners with Deputy Sheriffs in protecting your community. If you are interested in applying for a Communications Officer position, please complete an online application. See Current Job Opportunities. For more information contact the Human Resources Office at (321) 264-5212 or email to jobs@bcso.us. There are numerous administrative, technical, and clerical positions within the Sheriff’s Office. Openings are posted on the Current Opportunities webpage. 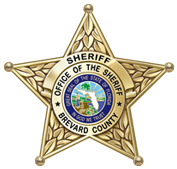 To find out more information about a career with the Brevard County Sheriff’s Office contact the Personnel Unit at jobs@bcso.us.